Michigan’s Lower Peninsula offers extremely diverse terrain, from beaches that are home to shipwrecks and lighthouses, streams populated with trout, and wildflower and orchid fields to spaces with unusual geological formations, sand dunes, and steep climbs, and beech forests perfect for birding. 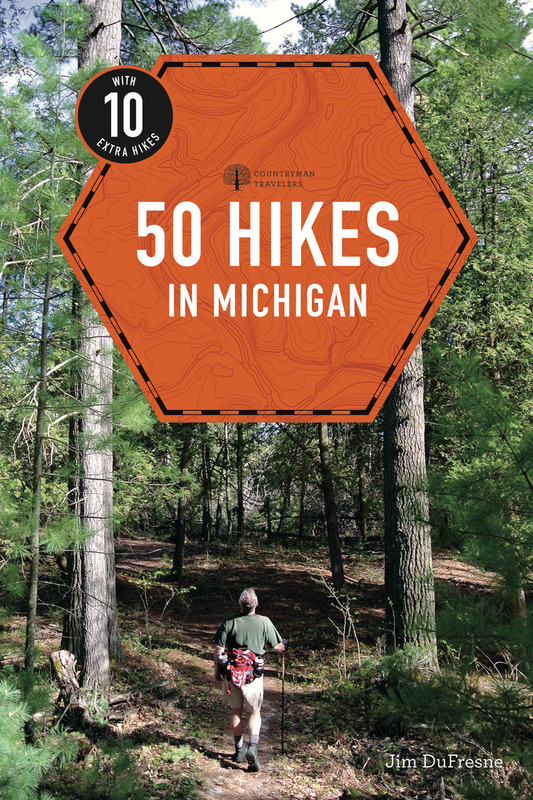 Each chapter begins with an overview of each hike—the type of hike, total distance, time, difficulty, highlights, maps, and trailhead GPS coordinates. Readers will learn the best way to access the trail, tips and suggestions, and key features to look out for along the way (scenic views, drinking water, rest stops, waterfalls, and old growth trees). Whether readers are setting out in the Sleeping Bear region to observe shipwrecks, open dunes, and beach walking on the South Manitou Island trail, 50 Hikes in Michigan (with 10 bonus hikes!) is the perfect companion. Jim DuFresne is an outdoor writer and columnist. His books on travel and outdoor recreation include 50 Hikes in Michigan, Michigan State Parks, Michigan: Off the Beaten Path, and Michigan's Best Outdoor Adventures with Children. He lives in Clarkston, Michigan.